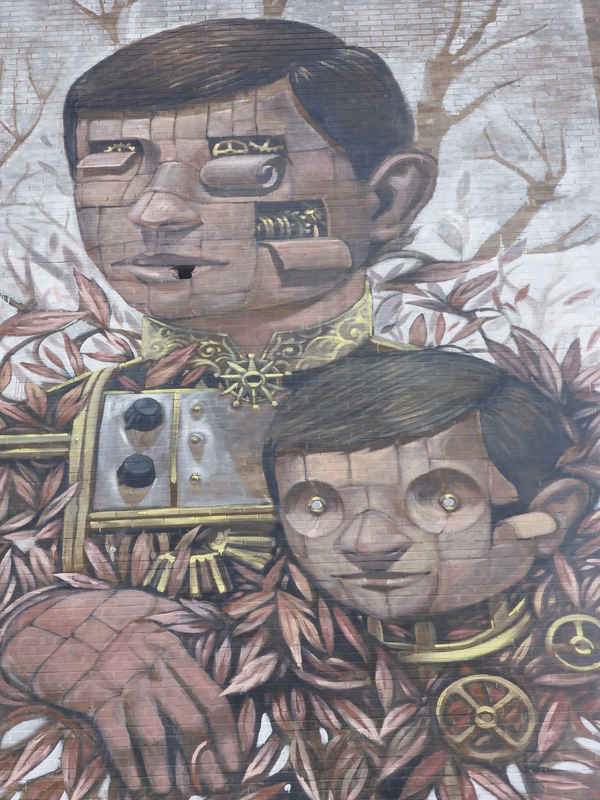 To accompany our previous post on Pixel Pancho’s current exhibition ‘Memory Of Our Life’ at the StolenSpace Gallery, we thought it would be a good time to share some pictures of the two pieces of street art put up by Pixel Pancho on his short recent visit to London, both around the East End. Both walls were organized through the StolenSpace Gallery.. 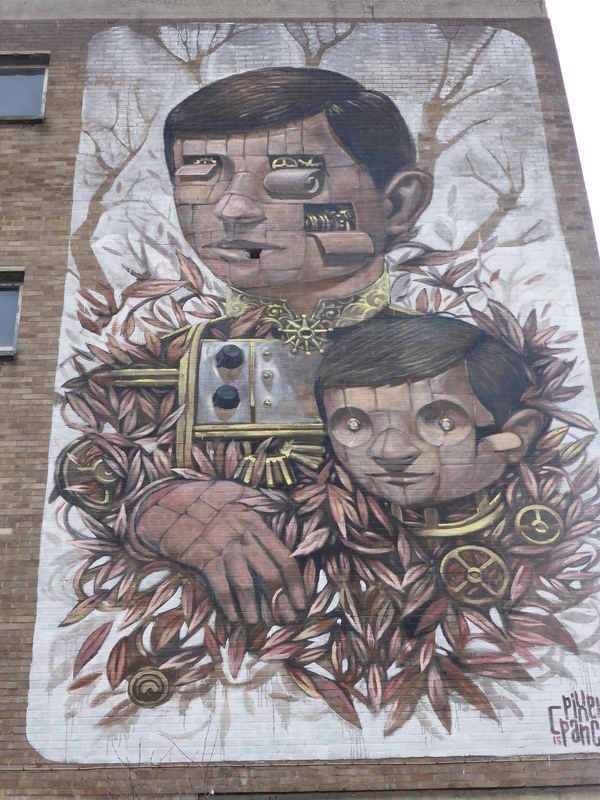 This spectacular work is in Dalston, in Abbot Street, and it is just incredible. Once having seen his work in the exhibition, this is so instantaneously recognizable as his work, through the subject and style. 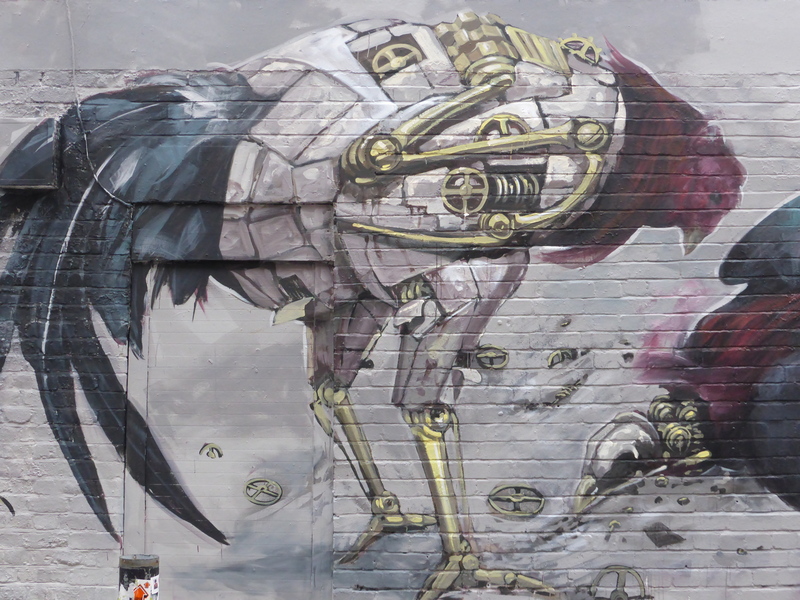 Tucked away and out of immediate sight, it may take you a while to locate this piece, but it really is worth the effort, absolutely stunning to witness, one of the best pieces of street art in London we have seen for some time. This wall was created as part of the ‘Colour The Capital’ project, from Forest Recycling Project who are set to brighten up run down community spaces with a series of nine street art and murals around East London. 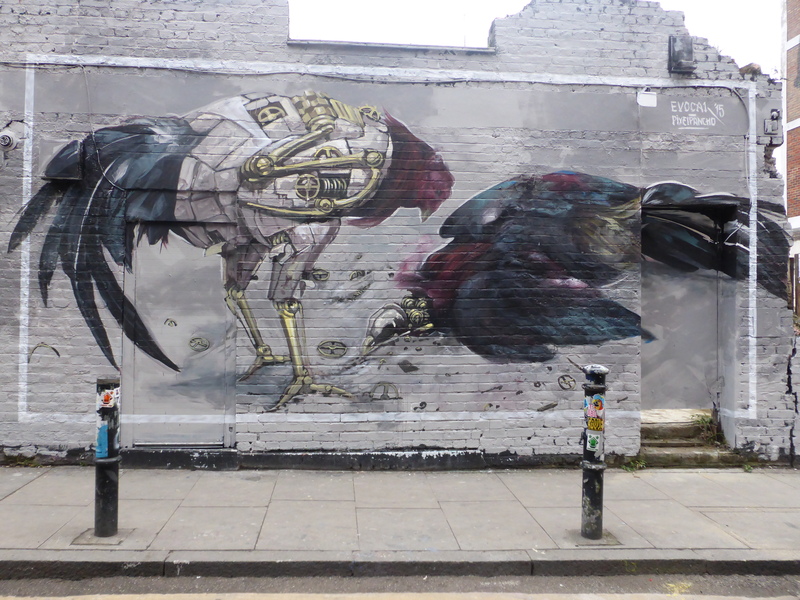 Collaboration with Evoca1 in Hanbury Street. 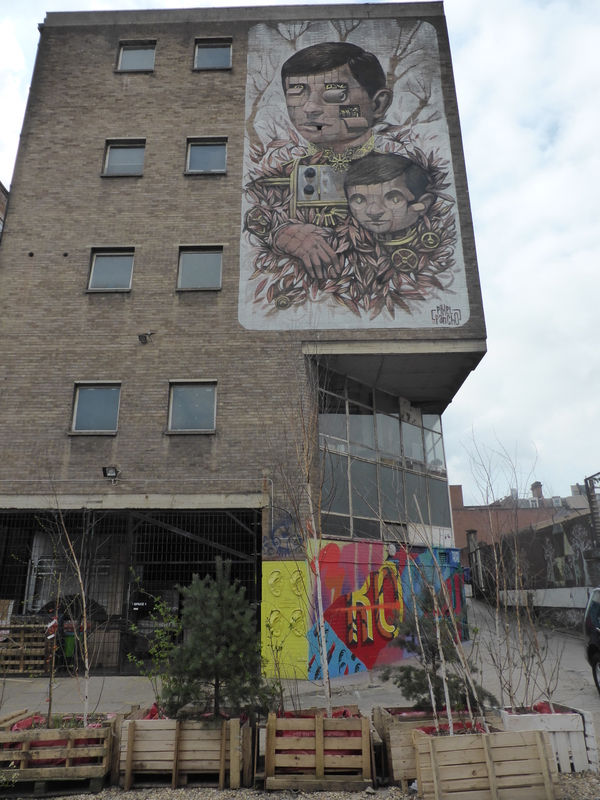 What we liked most about this piece on Hanbury Street was that you can clearly see both artists influence and work in the piece, and that they haven’t just painted one character each, the two individual characters bare the input of each respective artist. This piece is entitled ‘Reflections’ and was designed to depict a reflection upon the struggles we endure in order to survive, the two roosters are being forced to fight, in order to live on. Great post! Love the work! Thanks, The pictures don’t do the scale of this marvelous work justice. Inspiring.